What a colorful week! We had a lot of fun designing with color spools of Soft Flex Beading Wire and vibrant Bead Mixes. We featured a blog that discussed the importance of pattern and color in jewelry design and we filmed some enlightening videos about how color can complement your bead work. To top it all off, Wednesday, April 3rd was National Find A Rainbow Day (to those of us in the United States). The holiday might be a little obscure, but we wanted to celebrate it anyway – we love color! Kristen filmed a live YouTube video on Monday where she designed a lovely bracelet using Stretch Magic elastic cord and a matching set of earrings with Soft Flex Beading Wire. Sara discussed our medium Soft Flex colors and showed how our color wire can enhance a design, rather than hide under the beads. Sara then created a cute bracelet with her Flower Power Bead Mix. James uploaded his latest video on Thursday. James weaved a stunning bracelet with Soft Flex Craft Wire. 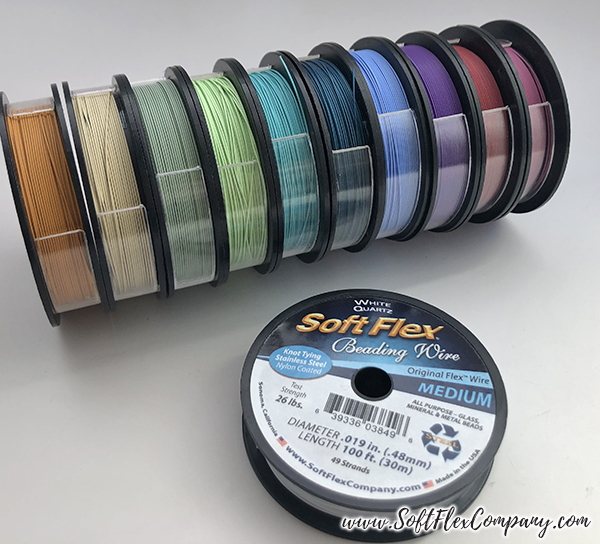 If you love color and want to expand your color collection, make sure you take a look at our medium diameter Soft Flex Beading Wire. This is a great time to stock your jewelry supply kit with the lush spectrum of our wire. Don't design with a boring beading wire, color will make your jewelry sing! Free Spirit Beading is back. Kristen’s newest YouTube video aired on Monday. Kristen discussed our Flower Power Bead Mix. She made a bracelet with Stretch Magic and then some earrings to match. Free Spirit Beading airs on Mondays at 11:00am PST. Free Spirit Beading is a beaded jewelry making series on YouTube. Kristen loves answering questions and helping fellow jewelry designers, if you catch her live, you can ask any questions about jewelry or art and she will give you some helpful tips. If you miss an episode, you can find it in our YouTube library. If you enjoy our mystery themed Design Kits, you will adore our Bead Mixes. Our Beads Mixes are offered in our Design Kits but we always plan to have more mixes on hand for those that want to buy more beads from their kit or those that did not get the opportunity to purchase the Design Kit. The current kit we are offering is our April Showers Design Kit. The supplies are near depleted. If you want the chance to purchase this kit, act quickly. Once it is sold out, it is gone for good. We will offer the bead mix for this kit down the road, so keep an eye out if you want to add more beads to your collection. Jewelry making fun with the new Flower Power Bead Mix! 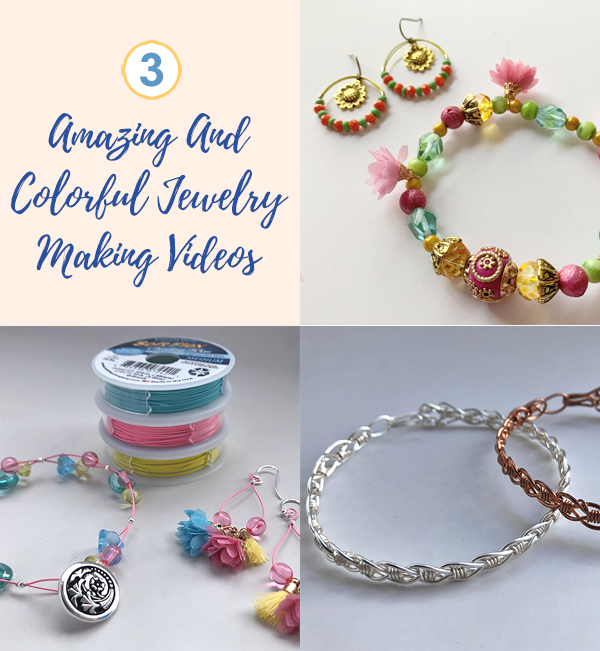 Learn how to make a stretchy bracelet with Stretch Magic and sunflower hoop earrings with Soft Flex Beading wire for two sweet springtime designs! This bracelet design uses the flower power bead mix with the “Tricky Ricky” stretch bracelet knot technique shared with me by Ricky of Dakota Stones! The earrings also use the flower power bead mix combined with Soft Flex beading wire and crimps for a sweet and simple pair of hoop earrings. Stretch Magic is a lot of fun, it is perfect for a beginner beader or a designer that wants to create a quick piece of jewelry. Stretch Magic is a strong elastic-like cord. It is constructed of a mixture of polyester and polyurethane. Stretch Magic is a great stretch cord, unlike other elastic cords that fray and split over time, Stretch Magic retains its shape as it is a solid piece of cord. If you are designing a piece of jewelry that is more precious, we would suggest using Soft Flex Beading Wire as it is much stronger and more durable. But Stretch Magic is fantastic for a quick bracelet. Earrings are so easy to create with Soft Flex Beading Wire. There is a variety of color to choose from. Whatever beads you have, you are sure to find an amazing color to enhance them. You can buy a ten foot spool of color if you don't want to splurge on a larger spool. You can also use remnant wire. Remnant wire is the stuff you cut after you finish a design. The remnant is either too short to use for another necklace or bracelet or just long enough that throwing it away would just feel wasteful. Remnant wire is the perfect way to repurpose your wire. Sara, co-author of Show Your Colors, did exactly that this week. She showed us ten Soft Flex Beading Wire colors and showed the design possibilities for each color. Soft Flex Beading Wire comes in a vivid rainbow of color. We think color is a fundamental part of jewelry design. We also think it is easy to overlook. Some jewelry designers may only think in gray when considering a beading wire to string their pieces. They may think it is necessary to conceal the wire beneath the beads. They may create designs that completely hide the wire. We think using a color wire makes a design much more amazing. Whether you have translucent beads or want to expose the wire on parts of your necklace, a great color will make your next necklace dazzle! The first thirty minutes of this video are must-watch if you are a student of color and would like to learn how color can work in a design. Sara shows a rainbow of color spools and show how each color might look with a finished design. She shows finished pieces and discusses the wire used in each piece. You will learn how color wire can enhance a design and maybe even get inspired – Sara really loves to make jewelry and it shows. After Sara discussed color. She decided she wanted to make some jewelry with beads leftover from her Flower Power Design Kit. She chose Pink Rhodochrosite color Soft Flex Beading Wire to string her designs. Sara used her Mini Macrame Board to help create her bracelet, the board is great for holding wire in place while you work. It is also perfect for making a macrame design with Soft Flex Beading wire. Soft Flex is supple enough that you can knot, braid, or weave with it. Employee James Browning films a series on YouTube called Conversations in Wire. Conversations in Wire is uploaded to YouTube every other Thursday. James explores his passion for Craft Wire jewelry. He has shown us how to create lettering, wrap stones, rings, and more. 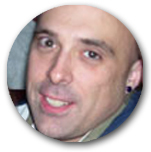 If you have any questions for James, you can post them in the comments field on his videos or email him. If you happen to create anything shown in his video, we would love to see your work, post it in our Facebook group – VIB. James would certainly be happy to see if anybody is creating his projects. James was inspired to create this episode after showing off a bracelet in our VIB group. The VIB community loved James' bracelet and he felt compelled to show how to make one at home. James is a wonderful teacher. I have worked at Soft Flex Company for fifteen years. I had made some bumbling attempts at wire wrapping stones and attempting to create jewelry with Soft Flex Craft Wire. It was not until James took a couple minutes and explained how to design a ring that I really understood the process. Wire wrapping and weaving is a slow process. Make sure you take your time while working. If you make a mistake, the wire is very forgiving. But if you are rushing, you might find it much more difficult to correct a problem that would have been easily fixed if you had paid attention and worked slowly. These bracelets are amazing. Perfect for every wrist. There is not a lot of jewelry that is unisex, but this truly fits the bill. This design is amazing and so easy to replicate if you follow James. Make sure you make more than one. Your partner may decide they want to wear it!